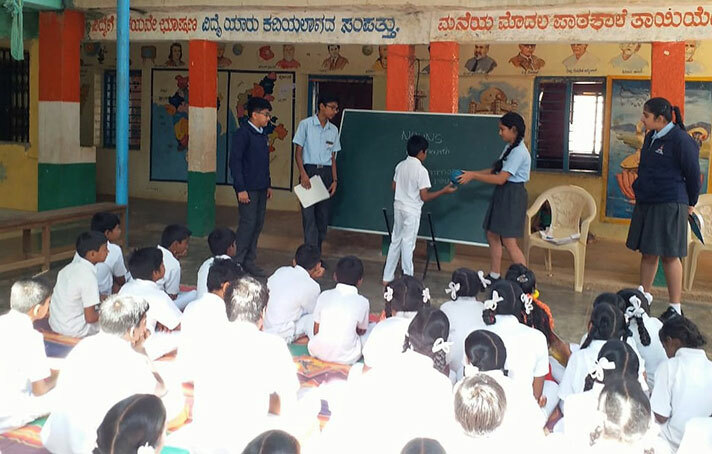 SEWA took on a new meaning in NAFL-NPS when the students of Grade 9 and 11 visited the Government School, Kannamangala on Saturday, the 1st September 2018. There was an air of excitement in the atmosphere as the Grade 9 and Grade 11 children were eager to meet the children as soon as possible. The time to start the day’s lessons had begun. 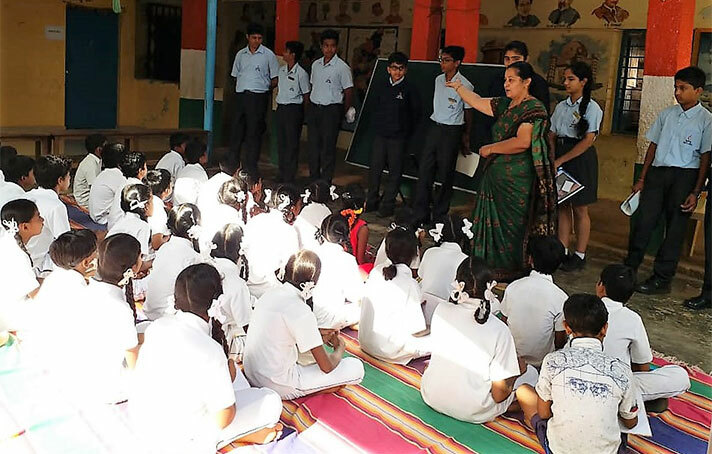 The children spread mats across their assembly area and the students of NAFL-NPS joined them there. A story was regaled and the concept of nouns were taught. In doing this, they understood that by helping the underprivileged, they gained far more. They were deeply grateful that the reason to come to school for them wasn’t to get a day’s meal and it dawned on them that with the access to knowledge that they had, far more than what they could possibly consume should be put to great use as it would be quite wasteful and a shame not to. 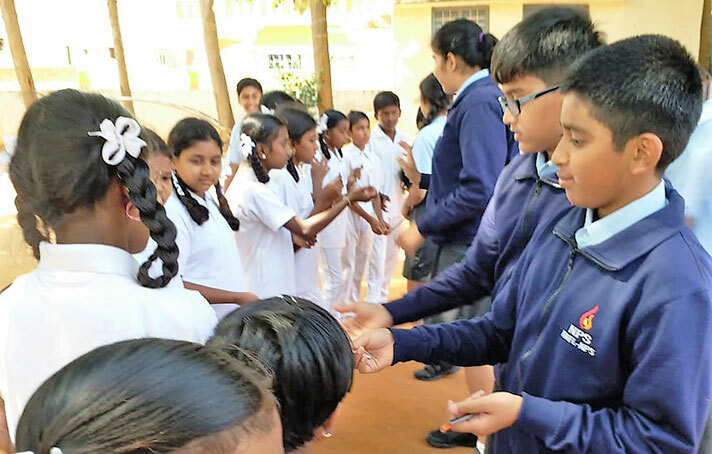 Just before leaving, pencils and chocolates were distributed. 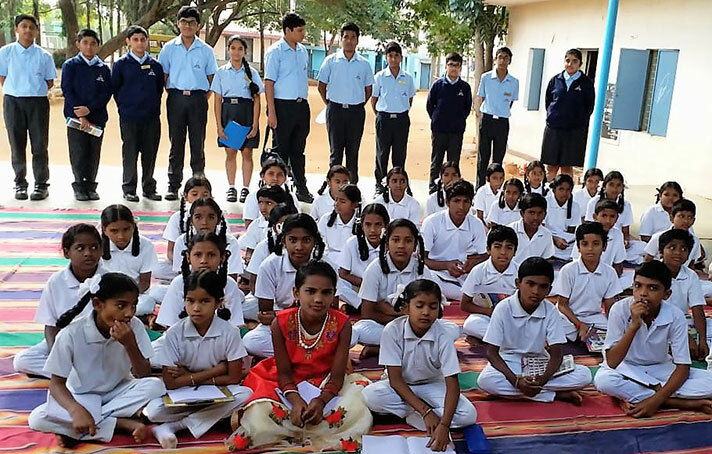 On the way back to school, NAFL-NPS students knew that there were a few people they had to thank from the bottom of their hearts – their teachers and their parents.